Are Mosquitos Ruling Your Yard? 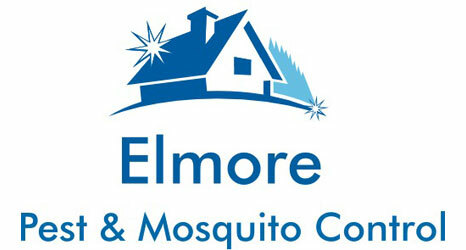 Take back your home and yard with help from Elmore Pest & Mosquito Control. We are experienced rodent and insect exterminators in Pittsboro & Sanford, NC. You don’t have to share your living space with bugs any longer. We’ll do a clean sweep to rid your property of pesky insects and furry critters for good. If you haven’t had your crawl space inspected in over six months, it’s time to find out what’s hiding there. We’ll make sure there are no termites, possums or ants making a home beneath your home. Hire a pest control expert to resolve your insect, rodent or wildlife infestation right away. We exterminate pests on residential and commercial properties. Call us today at 919-418-9712 to schedule pest control services with our insect exterminator. Enjoy your backyard in peace. Trap and remove unwanted critters. Sleep comfortably again in your pest-free home. Make sure your home's structural integrity isn't in danger. Why choose Elmore Pest & Mosquito Control? What's Hiding in Your Crawl Space? We also service the following areas: Orange, Chatham, Lee, Durham, parts of Wake County, and other surrounding counties.